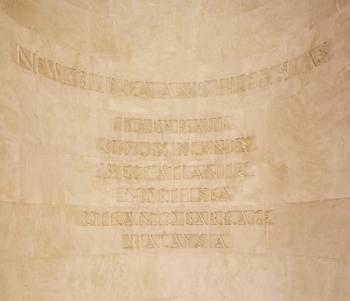 The Niches of Remembrance represent each of the principal theatres of war in which Australians served during the Great War. 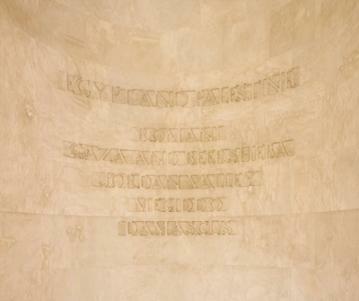 The niches are set into the walls of the Hall of Memory. Each is 8 m high by 3.7 m wide. There is a niche for the Gallipoli campaign, the war on the Western Front, the Sinai-Palestine campaign and the fourth lists the principal battles fought by the Royal Australian Navy. 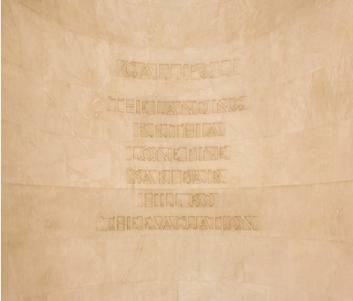 The inlaid pattern of the marble of the floor of each niche is a stylised rising sun or general service badge worn by the Australian Imperial Force in the centre of which is set a stone bought from each of these theatres of operation including Gallipoli, Flanders, Palestine and New Guinea. 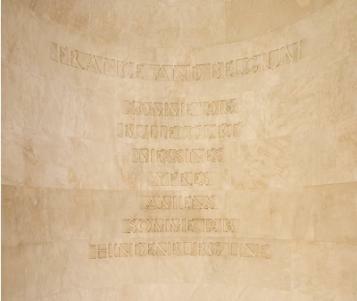 The Western front niche beneath the heading France and Belgium includes: the Somme 1916, the campaign fought between July and November; Bullecourt, two battles in April and May 1917; Messines, the great Australian victory in June 1917; Ypres, the battles of the salient from July to November 1917; Somme 1918, from the defence of Villers-Bretonneux to the Amiens offensive; and the Hindenburg Line, breached by the AIF in September 1918. The New Guinea and the high seas niche includes Call Cocos islands west Atlantic North Sea Otranto barrage and Malaysia.